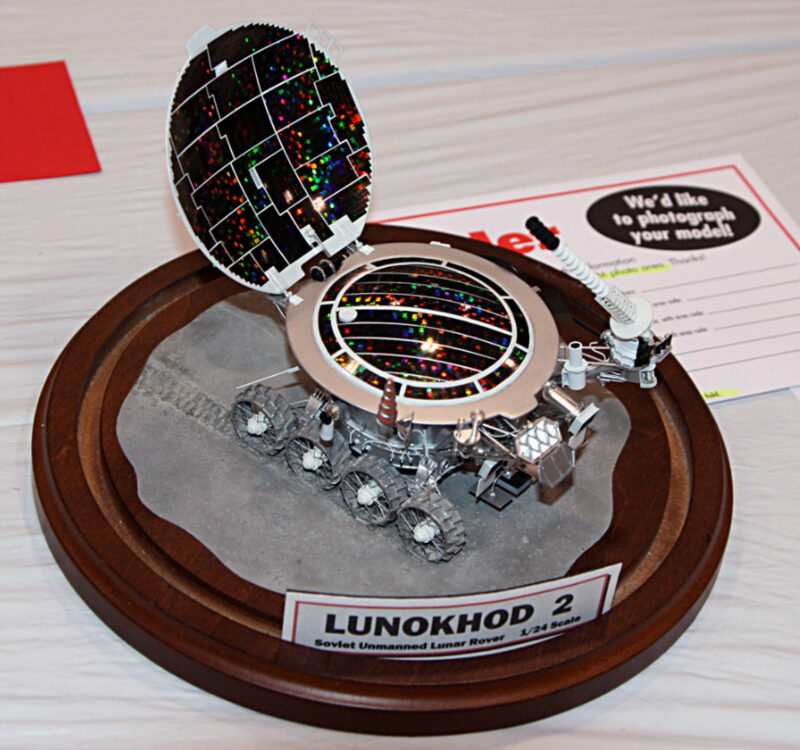 Lunkhod 2 was the second unmanned lunar rovers landed on the Moon. 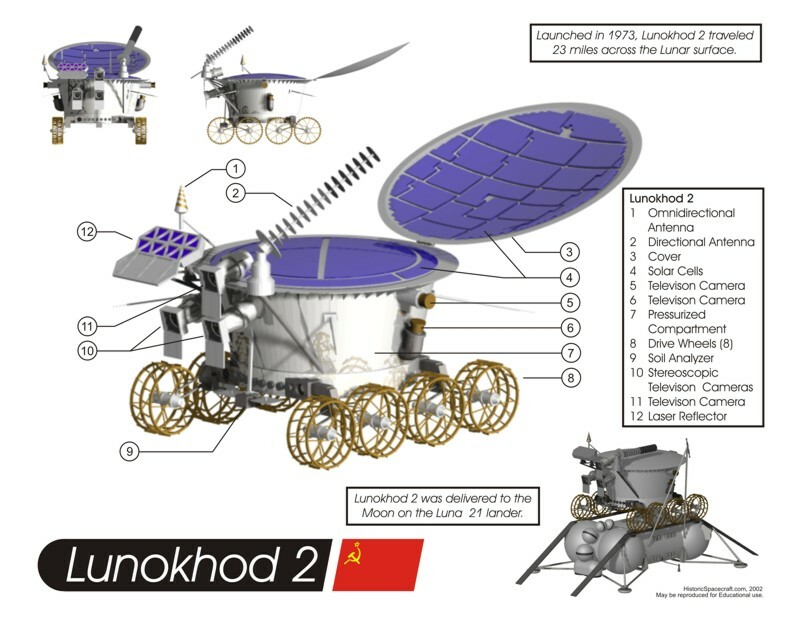 Lunkhod 2 was the second of two unmanned lunar rovers landed on the Moon by the Soviet Union as part of the Lunokhod program. A 1970s Soviet rover did indeed travel about 3 miles farther on the surface of the moon than originally thought, meaning that any robot hoping to break its off-world distance record will have to run a full marathon, researchers say. The remote-controlled Lunokhod 2 moon rover was long thought to have traveled 23 miles (37 kilometers) on the lunar surface back in 1973. But a Russian team recently upped the estimate to 26 miles (42 kilometers), using images snapped by NASA’s sharp-eyed Lunar Reconnaissance Orbiter. The primary objectives of the mission were to collect images of the lunar surface, examine ambient light levels to determine the feasibility of astronomical observations from the Moon, perform laser ranging experiments from Earth, observe solar X-rays, measure local magnetic fields, and study the soil mechanics of the lunar surface material. The rover stood 135 cm (4 ft 5 in) high and had a mass of 840 kg (1,850 lb). It was about 170 cm (5 ft 7 in) long and 160 cm (5 ft 3 in) wide and had eight wheels each with an independent suspension, electric motor and brake. 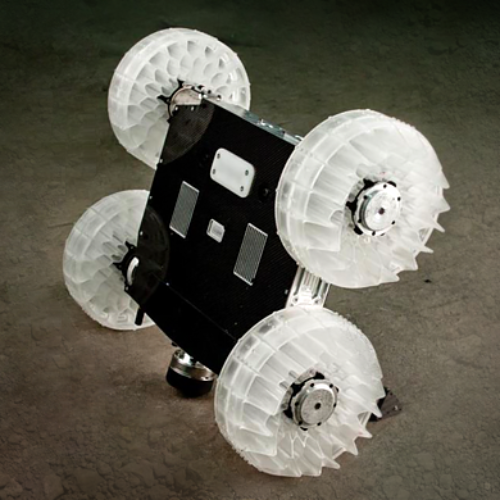 The rover had two speeds, ~1 km/h and ~2 km/h (0.6 mph and 1.2 mph). Lunokhod 2 was equipped with three television cameras, one mounted high on the rover for navigation, which could return high resolution images at different frame rates— 3.2, 5.7, 10.9 or 21.1 seconds per frame. These images were used by a five-man team of controllers on Earth who sent driving commands to the rover in real time. Power was supplied by a solar panel on the inside of a round hinged lid which covered the instrument bay, which would charge the batteries when opened. Lunokhod 2 operated for about 4 months, and the original estimate was that it covered 37 km (23 mi) of terrain, including hilly upland areas and rilles, and sent back 86 panoramic images and over 80,000 TV pictures. As of June 26, 2013, its journey remained the longest any robotic rover, or any vehicle, that had ever driven on another celestial body; the crewed Apollo 17 Lunar Roving Vehicle.